May 1875: Mary Todd Lincoln is addicted to opiates and tried in a Chicago court on charges of insanity. Entered into evidence is Ms. Lincoln's claim that every night a Savage Indian enters her bedroom and slashes her face and scalp. She is swiftly committed to Bellevue Place Sanitarium. Her hauntings may be a reminder that in 1862, President Lincoln ordered the hanging of thirty-eight Dakotas in the largest mass execution in United States history. No one has ever linked the two events--until now. 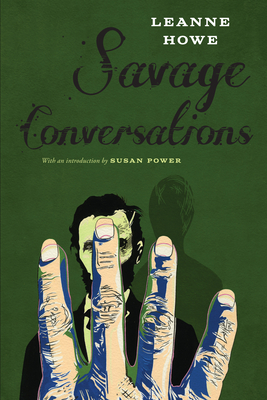 Savage Conversations is a daring account of a former first lady and the ghosts that tormented her for the contradictions and crimes on which this nation is founded.